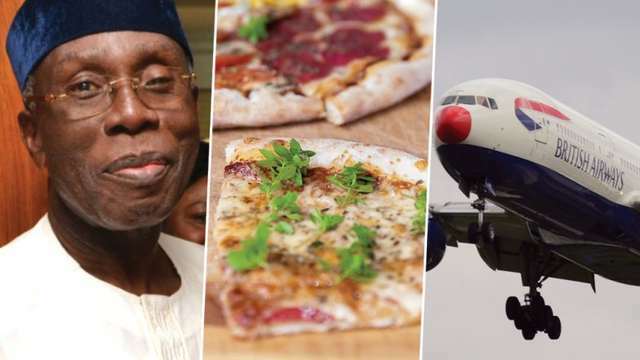 Some wealthy Nigerians are ordering pizzas from London and having them delivered back home on British Airways flights, a government minister has claimed. Nigeria is Africa’s largest economy and the continent’s biggest oil producer. But it is a country where more than half the population lives in poverty, and 60% of the urban population cannot afford the cheapest house. There are also some very rich Nigerians indeed and the gap between rich and poor is all too clear to see in the country’s largest cities. Ogbeh doesn’t name the Nigerians who allegedly make the orders, and it’s not clear whether they personally fly to London for the pizzas or get someone else to do it. Ogbeh’s comments came as Nigeria tries to cut down on its reliance on foreign imports, which the minister said was costing local farmers, Nigerian news site The Cable reported . Some citizens import daily necessities like rice and tomato paste because they think “it shows status, class, that they only eat imported things,” Ogbeh said, according to the Daily Mail .